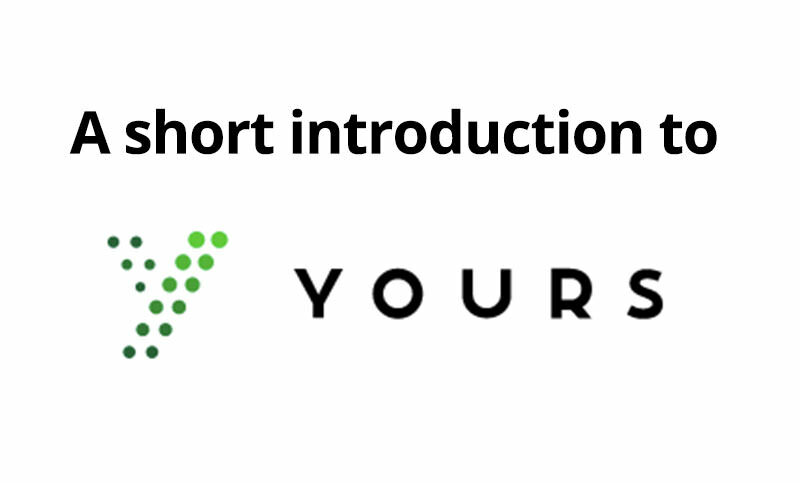 A short introduction to Yours.org — plus beginner tips! It's a new type of online community (or social media application) where post-creators can choose how to get paid (in Bitcoin Cash) for content they share on yours.org. So unlike other social networks where you don't get paid - here on http://yours.org you can earn and get paid. You can post many different types of content: Videos, Creative Writing, Music, Pictures, Stories, Journalism, Links, Files/Code, Blogs, and a whole lot more. Depending on what (and where) you post, some people might vote or tip or BUY the content others may choose to purchase your paid content if you choose to share it. People are much more likely to vote or tip new and interest content that you create, such as your own writing or your own photography, etc. The great thing about http://yours.org is that you can now post for free, which means everyone is welcome — including you! It also means there is no deposit requirement to start! If you don't already have an account, follow the steps below to get started: ________ Step 1: Visit http://yours.org & hit sign-up. Step 2: Enter a nickname, email, password. TIP! Need a free email account? Not a problem! Get one at: http://protonmail.com Step 3: Customize your profile (It's better to at least have some kind of picture) Tap on the circle at the far top right, then, tap the bigger circle to choose your avatar, follow the instructions for Gravatar, or just do this later! Step 4: Create your first post (It’s free!) Tap on the create button at the far top right, Enter the title, such as an introductory post. Decide if you'd like to add paid content. A great part about the https://www.yours.org/y/all/new/ new area is that you can become a Yours.org Curator. What this means is that when you see new posts that you enjoy or appreciate, you vote on them (and tip/purchase/etc them if you like). When you vote on a post, other users on yours.org are more likely to see that post appear in the "Hot" area. If another user votes on the same post as you - you earn some Bitcoin too! TIP! Check out the hot area/filter and comment something useful or meaningful on one of the hot posts - and the author (or other users) may vote or tip your comment. Also in the top right profile photo drop-down link is your profile page, where you can see your previous posts, find your drafts, see your followers, and edit your avatar. Also in the top right drop-down is your notifications https://www.yours.org/notifications/ - here you can see who voted on the same article as you and who tipped you, comments, etc. It costs 25-cents to vote, and when you vote, a percentage goes to other users who also vote on that post. Not only does voting help the poster increase their chance of reaching a wider audience, but you can also earn when other people vote on the same post - making it possible to curate. Tips show you appreciate the content beyond the vote. A great thing about tipping is that you can also set how much you'd like to tip, I'm not sure: but I think tipping also does influence the popularity of a post. This is anything you place into the "Paid" area when you create a post. Here you set the purchase price of the post. At the bottom of this post, I will show an example, and if you spend a couple of cents you will see that the paid content then becomes accessible (a picture of a happy cat). This is great for posting files, high-quality music files, website template files, code, zip files, high-quality photos (unwatermarked photos), high quality artwork (maybe for prints), behind-the-scenes information or uncut scenes, and exclusive writing or scoops, etc, etc. Something to think about is that yours.org gets paid a small percentage when you use the buy-it-now (or paywall) function when creating paid content. Not only will that help you earn, but it will help yours.org keep going! So what will you post on http://yours.org? I hope you enjoyed this short introduction to Yours.org and I hope it helps you get on your way to posting and earning from new updates on Yours.org! See you! You made an amazing guide! Excellent guide, the best its behind the paywall, hehe. I would try to make a Spanish guide for another users, very complete as yours. greetings, friend!, @framore I think it would be nice to create an italian guide either.